... from Bears to papercrafts, embroidery to beading, anything and everything creative, which encompasses all my creative talents. When you teach what you love & share what you know, you open eyes, minds, hearts and souls to unexplored worlds. I'm obsessed with calendars and make one some every year. 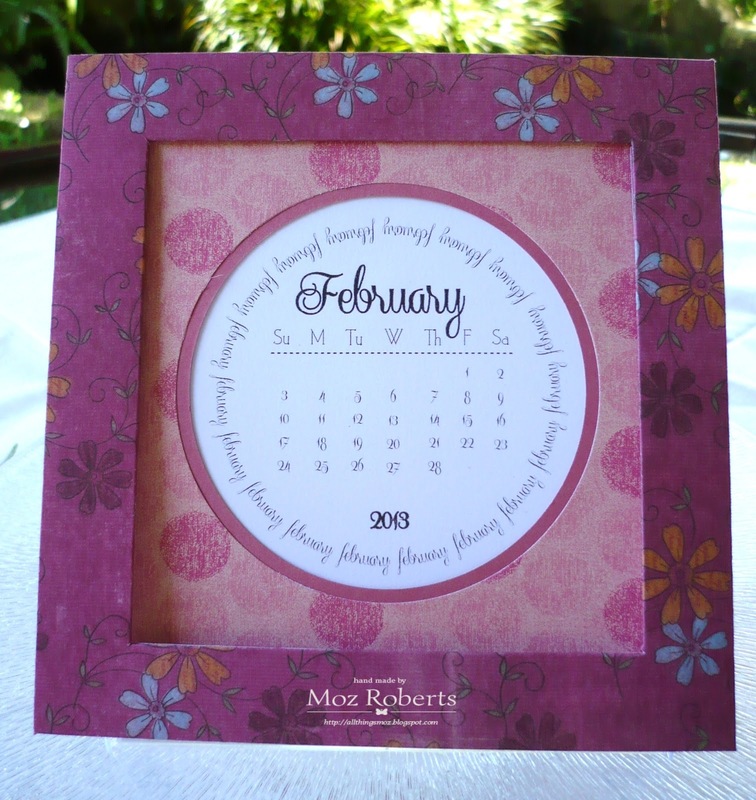 I have made calendars that fit into a CD case before, where I prettied up every month, which was nice as you could make it specific to any or one occasion during that month, but mega hard work! So my thoughts were to make one for next year, where I pretty up the frame and just change the month part of the calendar. Whilst I was thinking about it, I kept my eyes open on my www trips for inspiration and ideas. My computer skills do not lean towards to designing the months part, so that was where I kind of focused my search. 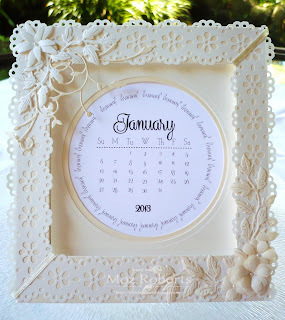 Now, one of the blogs I follow is Scrappy Sticky Inky Mess which belongs to Mary Anne. This is one talented lady with computer skills that blew my mind! She is also very arty and into grunge big time, which is not my forte, but I can and do appreciate the work that goes into it all. I also love to stay on top of techniques using various products, and boy does Mary Ann push the boundaries somewhat! You have to see what she does with big playing cards every month - wow! Anyhow, I digress somewhat. 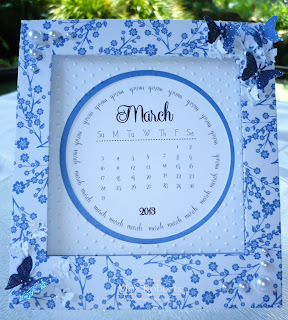 Mary Anne started on calendars awhile ago and boy was she on a roll - every post, for a few weeks contained more designs and ideas and I was suddenly wide awake to it all and knew exactly what I wanted. Then up popped a design that fitted my spec's exactly. A circular calendar in a CD case. This kick started my calendar although I wanted to pretty it up some more. I followed the instructions and this was my first attempt. Much better, and pretty, but not pretty enough in my humble opinion! 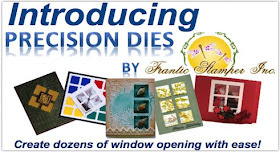 I am a 'die' freak and want to and need to add die cuts to almost everything. 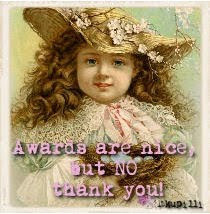 Some folks are nuts about flowers, others bling, but me, die cuts and pretty ones at that make me happy! I also love the monochrome look and white on white, or cream on cream or better still white on cream, makes me very happy. Now I am VERY happy! Absolutely thrilled with this piece of art. Anyhow, I emailed Mary Anne to tell her how thrilled I was and sent her photo's of the blue and cream versions and she contacted me to say how thrilled she was with the outcome and asked me to let her know when I posted it onto my blog. Well, here it is Mary Anne - a huge thank you for your inspiration and hard work. 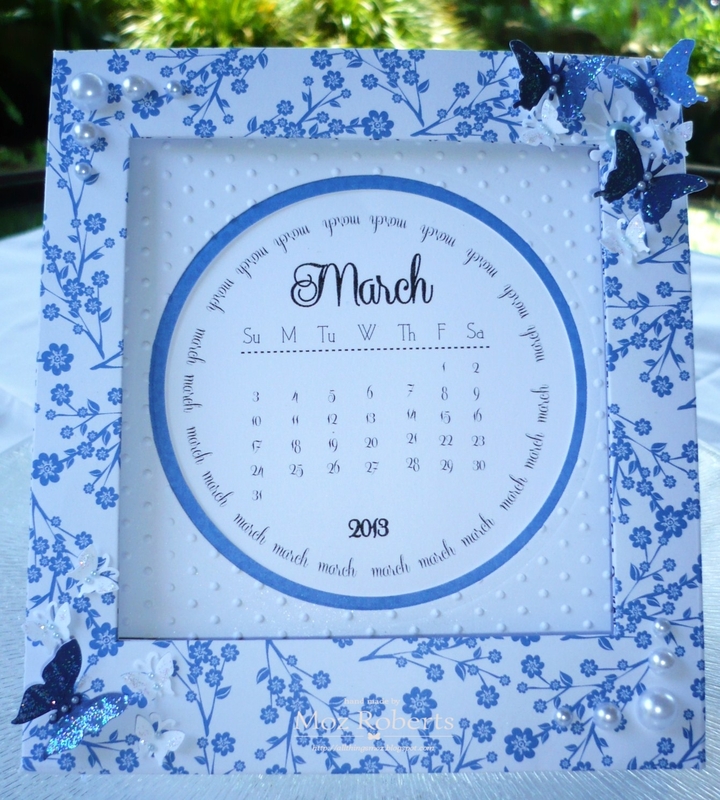 I intend to make a few more, but have since seen your new post for the match book calendar, and have a feeling I may well try this one out as well. 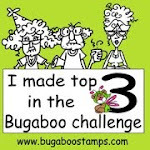 Do pop over to Mary Anne's blog here and snoop around - you will be inspired! Wow, Moz this is gorgeous! Love the pretty, summary feel of the first two and the "French" elegance of the cream one. Fantastic job. Wow Moz! You blow me away! This is amazing work! I have to agree, I love that cream on white version! Awesome! These are FABULOUS, Moz! I love your beautifully "framed" calendars, and the circular version idea is so unique. Great job! I can relate to your "die freak" comment! I can't live without my BigShot. Please leave a comment. So good to get feed back on my creative endeavours! liberates the soul of the giver. A day without crafting, is not worth living - almost! 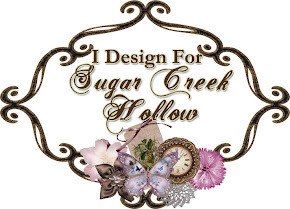 I have dabbled in almost every craft available to me. Some successfully, some not so...... Happily married for 40 years to a patient, kind man with whom I share two amazing sons who both live in Cape Town. Crafting is my therapy and I am blessed to have a family that encourages me in all my endeavours! Should you have any questions or queries, please contact me at allthingsmoz@mweb.co.za.